HMH Books for Young Readers, 9780547851648, 320pp. 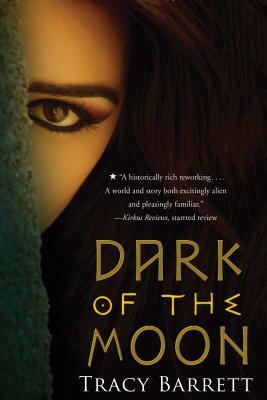 Fifteen-year-old Ariadne of Krete is the daughter of the high priestess of the moon. Isolated and lonely, she finds companionship only with her beloved handicapped brother, Asterion, who is held captive below the palace for his own safety. When a ship arrives from Athens, Ariadne meets Theseus, the handsome son of the king. Ariadne is drawn to him, and they form a friendship. But Theseus is doomed to die as an offering to the Minotaur, the monster beneath the palace—unless he can kill the beast first. That monster? Ariadne’s brother. A wonderfully rich coming-of-age story. Tracy Barrett teaches Italian language and civilization at Vanderbilt University. Her books include King of Ithaka, On Etruscan Time, Cold in Summer, Anna of Byzantium, and the Sherlock Files series. Tracy lives with her family in Nashville, Tennessee.Visit her website at www.tracybarrett.com.